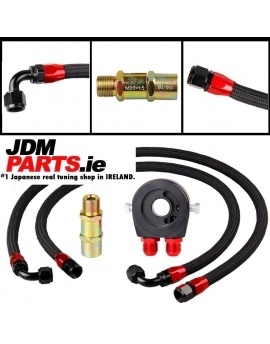 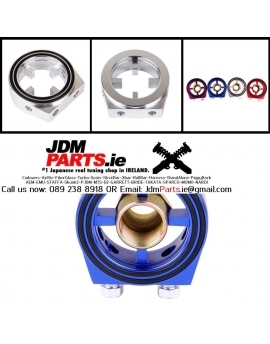 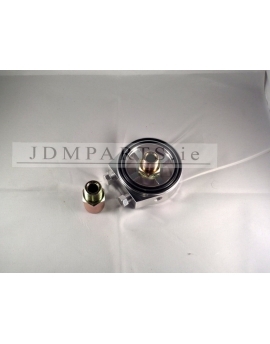 •Oil Cooling There are 11 products. 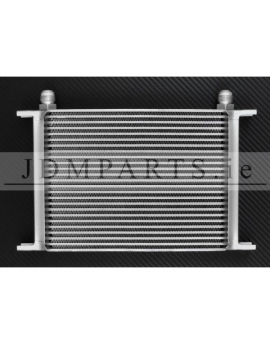 Aluminum, high-performance oil cooler, having a core with 7 rows and dimensions: 260x50x50mm.Total 330x50x50mm, with popular thread 7/8 inch (AN10).Solidly constructed, can withstand high pressures, and the corresponding density heatsink fins ensures effective cooling even under extreme track conditions, successfully used in racing, drifting. 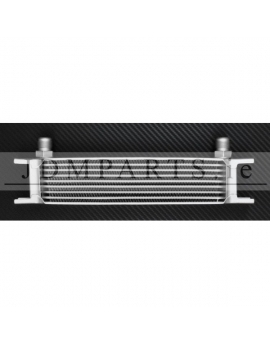 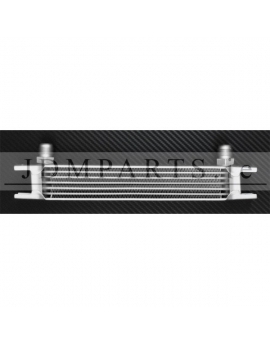 Aluminum, high-performance oil cooler, having a core with 9 rows and dimensions: 260x70x50mmTotal 330x70x50mm, with popular thread 7/8 inch (AN10).Solidly constructed, can withstand high pressures, and the corresponding density heatsink fins ensures effective cooling even under extreme track conditions, successfully used in racing, drifting. 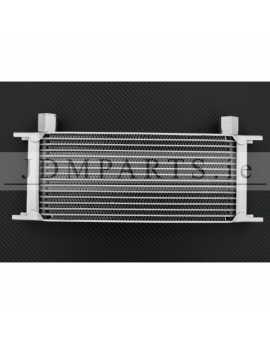 Aluminum, high-performance oil cooler, having a core with 13 rows and dimensions:260x100x50mm, 330x100x50mm total, with popular thread 7/8 inch (AN10).Solidly constructed, can withstand high pressures, and the corresponding density heatsink fins ensures effective cooling even under extreme track conditions, successfully used in racing, drifting. 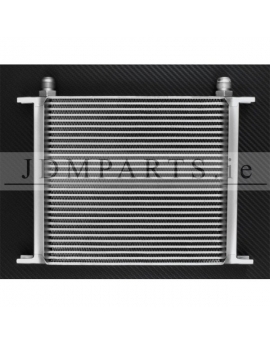 Aluminum, high-performance oil cooler, having a core with 16rows and dimensions: 260x125x50mm, TOTAL: 330x100x50mm With popular thread 7/8 inch (AN10).Solidly constructed, can withstand high pressures, and the corresponding density heatsink fins ensures effective cooling even under extreme track conditions, successfully used in racing, drifting. 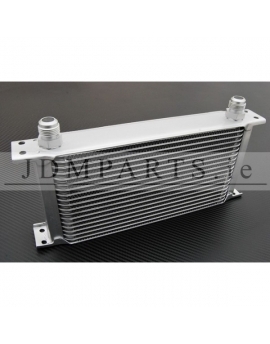 Aluminum, high-performance oil cooler, having a core with 19rows and dimensions: 260x150x50mm, TOTAL: 330x150x50mm With popular thread 7/8 inch (AN10).Solidly constructed, can withstand high pressures, and the corresponding density heatsink fins ensures effective cooling even under extreme track conditions, successfully used in racing, drifting. 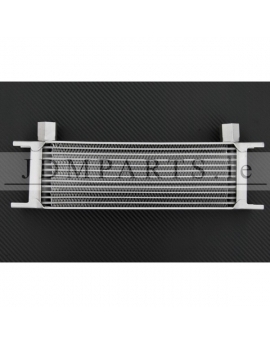 Aluminum, high-performance oil cooler, having a core with 25rows and dimensions:260x195x50mm TOTAL: 330x195x50mm, With popular thread 7/8 inch (AN10).Solidly constructed, can withstand high pressures, and the corresponding density heatsink fins ensures effective cooling even under extreme track conditions, successfully used in racing, drifting. 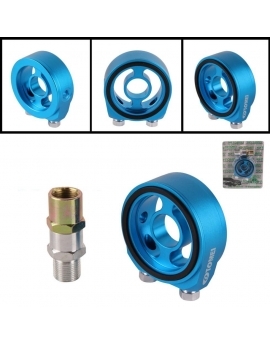 Aluminum, high-performance oil cooler, having a core with 30rows and dimensions:260x235x50mm TOTAL: 330x235x50mm With popular thread 7/8 inch (AN10).Solidly constructed, can withstand high pressures, and the corresponding density heatsink fins ensures effective cooling even under extreme track conditions, successfully used in racing, drifting.